David Archuleta’s March Madness Continues!!!! Personal INVITE to Boise from the MAN himself!! Personal INVITE to Denver from the MAN himself!! This entry was posted on Tuesday, March 8, 2016 at 12:24 PM	and is filed under @DavidArchie, concerts, David Archuleta, music, The Voice. 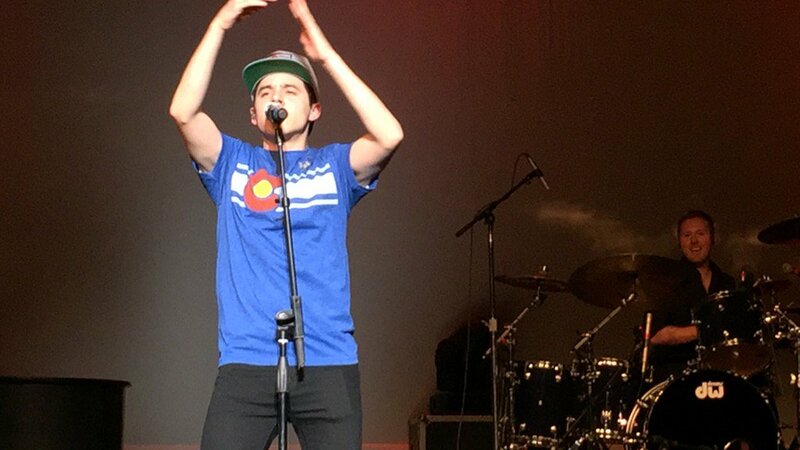 Tagged: @DavidArchie, Boise, Denver, The best is yet to come. You can follow any responses to this entry through the RSS 2.0 feed. You can leave a response, or trackback from your own site. YAY more David in March!!!! This is March Madness I can LOVE!! Getting ready to periscope…. maybe…. slight chance….hopeful…..crazy….???? Bluesky, that would be great if periscope would happen! Love to see an artist at work. Looks like David might be playing with those drums again. Jan, glad you got your plane problems taken care of. Our planning days are almost all used up. So excited to be seeing David and all those terrific David people. March madness indeed. Yes, March Madness starts tomorrow night in Denver! Can’t wait to see what songs he sings, etc…..I think there will be some ninja cameras in there some where…sure hoping…. 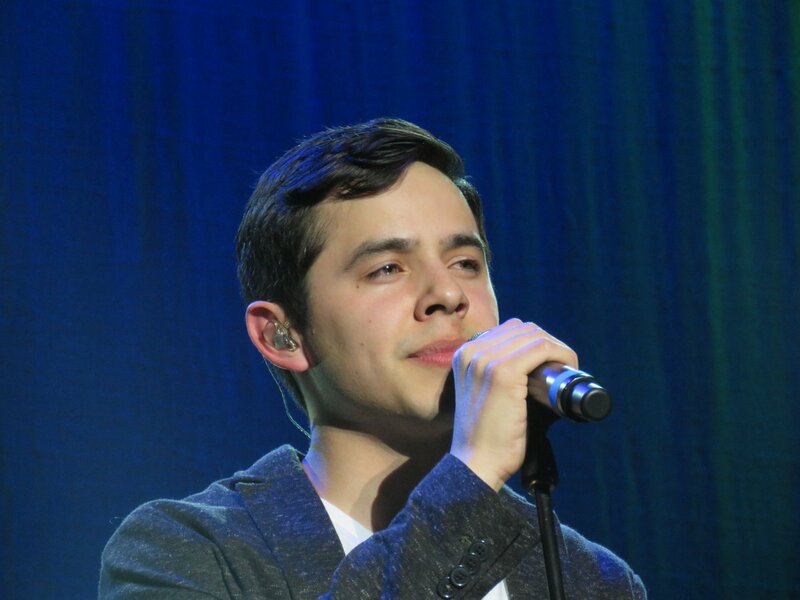 I love the title of this article: David Archuleta’s March Madness!!! Sky, Terry Tampa and Fi are all going to the Denver concert! They are already there! Safe travels to those flying, driving, air-ballooning or are using any other mode of transportation. Just get there safely! As for cameras, I think Shelley is out of Colorado so it’s safe to assume that she will be there. I feel the excitement and I’m nowhere near there hahaha! Sky and Terry have fun!!! Be our eyes and ears! So right now it 10:11 in Denver, 9:11 in So Cali, and 12:11 in New York. Praying, yes praying for videos, periscope, pictures!!! Hope we get videos for this! Hi peeps, I have the night off and will be checking for videos, tweets, instas! @benrector I can't believe I missed you by a day both in Salt Lake and in Denver. One of these days I will catch a show. And then tweets about concert!!!!!! Hello Denver! We'll be playing tonight downtown at the Bellco Theater. Any of you joining us tonight?? A bit off topic sorta but a nice clip anyway. Promo for the Solvenia show. Found at FOD comments. Fans who are in the Orange, CA area ALERT!! A new kind of baccalaureate service, featuring one of American Idol’s most beloved stars, David Archuleta, plus superstar interfaith speaker Valarie Kaur. Featuring inspirational messages of faith for all graduates, whether secular, spiritual or religious. Open to all: graduates, their families and the public. Free admission. Listening on Periscope, he sounds FANTASTIC. Love the new cover he sang by Lukas Graham. Incoming spam!!! 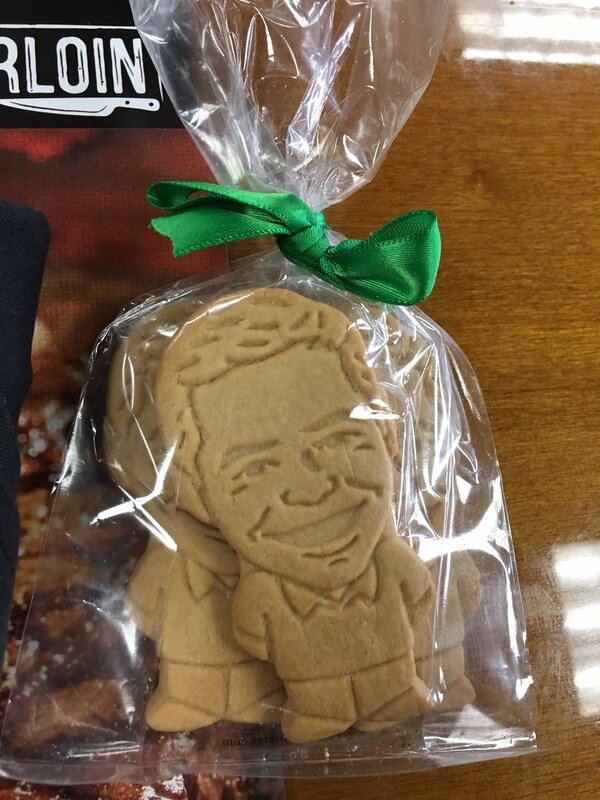 Thanks to fans who shared with us. Lost of dancing action! Kari’s Periscope. Check Liz-Mag’sTwitter timeline for more from the concert. One last tweet for the night from the MAN. Thanks, Abs, for posting all the goodies that Shelley took! Thanks to Lisa for doing the Periscope. Didn’t get to see a lot because of the restrictions but did hear it all and he was awesome as usual! Enjoyed all the hand clapping and arm swaying right here in my kitchen listening to the best darn singer in the world!! 🙂 AZ is going to be so much fun! He said “what I’m trying to say is that I want to be loved for me”…that is what everyone loves…is him…just the way he is…voice and all! 🙂 How could you not??? He is so endearing! I just got home from a whole day out. Looks like I have a lot of catching up to do! I can’t believe I just sat through the whole concert on periscope staring at a blank screen! But it was worth it. Thank you so much ArchieTina for the broadcast from your purse! I loved the 7 Years cover. Hope there is video of it. He sounded different, but in a fresh and good way. I hope we hear more of that sort of sound in his coming concerts and in his new album. I like 7 Years. I think it’s one of the better pop songs out there now. Did David speed it up a little? I think he dropped a line near the top. Here is the MP3 audio from Tina’s Periscope of Denver concert. It’s a bit scratchy. I re-did it 3x but I think it will never be a clean as the original broadcast. Some videos have started to show up. New cover from last night 7 Years! Another 7 Years video from Shelley. I hope my children come and visit once or twice a month. Once I was 7 years old. I’d never heard of this singer or this song. I listened to the guys video and wasnt to impressed. Wondered what David would do with it. I played it in my car and it stirred my soul, made my hair stand on end, gave me the chills from head to toe. THAT VOICE AND EMOTION NO ONE ELSE HAS. Sorry… that link didn’t work. 😦 https://www.tuacahn.org/online/ Try this one and then click on concerts! Lot’s of good stuff from last night! Thanks Abrra for putting in overtime to get them to us! 🙂 I was really kind of hoping that he would have a new show going for this year. Man, he’ll be in Slovenia on May 13 and CA on May 20!! I guess that’s why he can’t get a new show put together or the album released. 🙂 It’s kind of hard to do when you’re on the road so much. 7 Years is my favourite of this set. That song is played on the radio often. I like it a lot and always pay attention when it’s aired. Of course David has made it even better! Lots of video to watch. Thanks for posting, Abrra. This article about David Cook was in my mail this morning. I liked what he has to say about being an independent artist. Another concert tonight!!!! Great for those to get to go!!!! Sky? Sky? Did you survive??? Helllooooo? Boise concert surprise! So great! #48… hilarious! “…. so do you still want to go to that basketball game?” ducks her head …. “ummm, no.” big ‘ol grin 😀 I love it! I’m not remembering Borah from the past ….. anybody else? Hope we hear from Dayzee soon! haha got in after midnite last night, but left my ♥ in Denver. It was awesome,and wonderful,as Shelley’s videos show, and so happy everyone got to watch the show with us!! So much fun we had♥♥♥!!! and to come home to this beautiful coverage and relive it all again .Love you guys! Can’t wait for more from Boise tonite! Saturday, March 12, 2016 at 7:50 AM Clips and Pics from Boise concert last night. Donna was a hero to fan’s at home as she caught the encore on Periscope. Watch it before it goes away tonihgt! Shelley got a few videos up from Boise! Abrra’s Candy Jar has some new treats! I have added MP3’s and MP4’s of Denver and Boise concerts. I love the love and general fantasticalness from last night. ^_^ BIG SMILE!! I saw this today. I was really touched by the feeling expressed in this music. Most of us struggle from time to time with our “image” or we wonder about the value of our “gift”. I am so glad that DA shows and shares his own path to over coming. I enjoyed Gaelynn’s music so much that I went to watch another half dozen more videos. Her voice has a distinctive sound that calms the soul. The violin matches her style perfectly.Thank you for posting. Donna sent me a link to her video of David singing 7 Years. I love how he performs this song. Find both in the Candy Jar. Thanks to Shadowbenny for today’s puzzle edit. Fun puzzle, Abs! And thanks Shadowbenny. Getting anxious for the next few weeks coming up! #Can’t believe 3 concerts! #oh boy! A fun puzzle, Abrra. Thank you! Jan, I feel where you’re at on 7 Years. I haven’t attached to the song either. Although, I much prefer David’s rendition over the original singer. I think it probably has a lot to do with how I can tell that David is relating to the lyrics so strongly… plus the Voice is pretty awesome. I wasn’t really an Elvis fan until about 10 years ago. I liked his music a lot, and thought he was pretty easy on the eyes (in his younger days especially), but I just couldn’t get into it very deeply. But then, at some point during my husband’s serious illness and long hospitalization I latched onto, and fell in love with his music. I spent a serious amount of dollars on CD’s during that time. 😉 Maybe that’s where I’m at with this new cover that David is doing. Maybe it will grow on me. Yes, I’m at the point where I need to get my Arizona excursion planned. We’ve got to decide if it will be a straight down and back trip, or if we plan to do some sightseeing along the way. Decisions! I do know what’s at the end of the trip going down, regardless as to what happens in the middle, and that is a pretty exciting destination! Tawna it will be great to be seeing you all again! 🙂 #timeisflying # 🙂 #needtopack! A few days ago I got an Email from Tuacahn giving me an opportunity to buy David tickets for Novermber 2016. I called them immediately and ordered me up a bunch of tickets. Later I was looking at the bill and thinking “Am I crazy? All those $ for concert tickets?” Friday night David strolled out on the Boise stage and I thought ” I gotta get me some more tickets.” That’s my life now. When Boise tickets came on sale I pulled up the venue and every seat was available except for 2 front and center. I figured I must know those people. Got two adjoining tickets and was curious to see who would be sitting in those first sold 2 seats. Their pics are above at #58 with the band (Jane Rayburn), And yes, they were not strangers to me. They told me they had missed the Boise dinner because they got lost. Getting lost has always been a problem for me in Boise, don’t know why. At the dinner, Taterzen’s granddaughter was sitting across from me. She is in the choir pic at #50. standing on David’s left. We all asked how she got that awesome spot. She told us David was milling around and said “where shall I stand?” She quickly said Here! Here! and it worked. Taterzen was an excellent hostess and it was great fun for everyone who could make it. We had a crowd of about 35, Shawna, Claudia(CB), Patty, all the usual suspects. Got settled at the concert, front row center. Put my elbows on the edge of the stage and my chin in my hands. Looking at the neck. First time that I noticed when David extends his finger(s) they turn backward at the tips Fascinating to watch, as those hands are always dancing. The next thing I knew he was thanking us for coming and telling us goodbye. What? He has a lot of nerve giving us a 20 minute concert. But when I looked at my watch it was 10:30. Time is weird in Boise. My granddaughter drove and accompanied me everywhere. Said David gets better every time. The trip was perfect. The dinner was perfect. The fans were so friendly and perfect. The concert was perfect. And David was over-the-top perfect. Time to get myself to the airport and see if Jan is there yet for the next hunk (I mean chunk) of perfection. Love your stories, Dayzee! And your sense of humor…you’re the best! 🙂 Tuachan again…I told you that I need to move in with you! lol 🙂 Doubt if I will make it this time. I have fallen into the 7 Year vortex and I can’t get out!!!!! Upon hearing David sing it I became hooked. Listening closely to the lyrics next and his obvious connection to them hit me like a ton a bricks. I’ve shared it with anyone who I can get to sit still young and old and everything in between, same reaction by all “WOW”. Oh St. George I have to decide fast before the tickets are gone! Wow! What I wouldn’t give to go to the Slovenia concert!!!! Tawna, It looks like a beautiful place. Hope we get video. Paul Cardell was learning to use periscope and I kinda hinted a periscope for his and David’s performance would be nice lol. Bluesky, lol I’ll hint some more. Here’s Paul twitter (@paulcardell) if you’re not following him and make sure you add him to your periscope. How to get tickets for the May 20th Chapman University event will be announced April 1st, will be on the look out for those! Another concert announcement, June 20th! It’s also listed on the Windish site. I will be in Main at a conference on June 20th. I will be the only person in Utah who is NOT at the SCERA concert. But I AM happy for everyone else!!! Go, Girls!!! Go Dayzee!! Alternating between these two round the clock. But am glad for all that get to go! I followed @paulcardell. LOL I am one of 3 followers. Something tells me he won’t be doing a Periscope. He doesn’t seem into social media. Paul Cardell like my tweet about persicoping from Slovenia!!!! If Kari is there, maybe she will periscope the Slovenia concert for us! I really liked the way David handled the marriage proposal Abrra posted at #58. He gave us a grin and finished with a “thank you”. It was a perfect response. I think he finally realizes that his audience loves him in a good way and it is not a bad thing. Mailman brought me Tuacahn tickets. I had only bought for Thursday and Friday, thinking I did not need 3 nights in a row. When I got back from Boise I came to my senses and requested Saturday night seats. Still waiting for those. Leaving Wednesday morning for Richfield. Getting giddy. Again. Tawna, even with all the opportunities for concerts here I too am aching for Slovenia. It looks sooo beautiful. I agree, Dayzee. Also, another girl yelled out “get to know me”! lol 🙂 He is loved in a good way, for sure! Cute photo, Abs! Happy St. Patrick’s Day to all of you guys. Have a great and fun day!